When Abby's little sister, Toucan, contracts a new, deadly illness spreading among the survivors, they go on a dangerous journey to Colony East, an enclave of scientists caring for a small group of children. 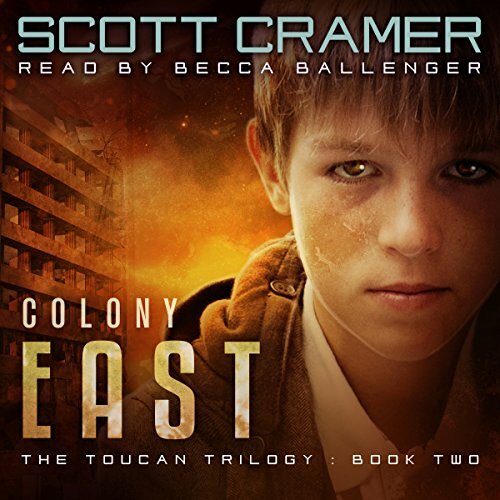 Abby fears that time is running short for Touk, but she soon learns that time is running out for everyone outside Colony East. It just keeps getting better and better! Im hoping for a third audible book please! I thoroughly enjoyed this book and the narrator did a fabulous job!! Can't wait to see what happens next! I enjoyed this book very much, all three! A great continuation sequel. Compelling for adults and alike! Narrator complemented the story perfectly. Can't wait for the next book to be on audio. I have Audible and Kindle Versions. Can't wait to get part 2! Narrated well!